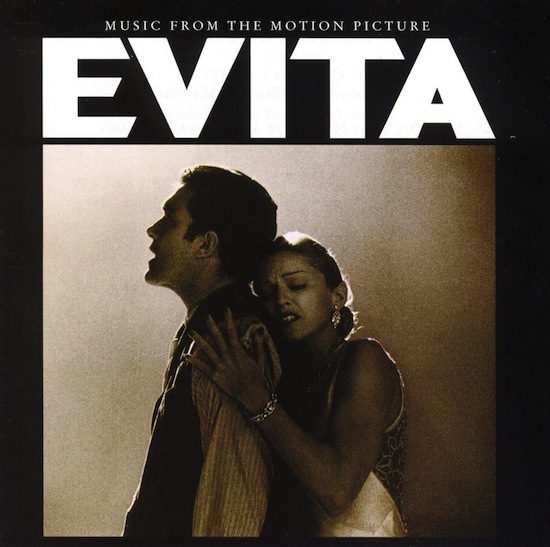 On July 29 1997, the Evita: Music From The Motion Picture CD (highlights from the Evita soundtrack) was released in North America. 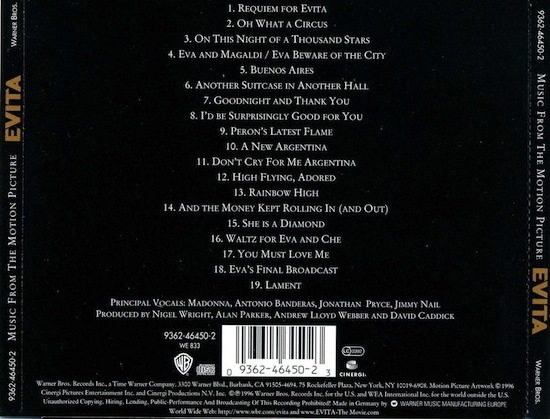 -Another Suitcase in Another Hall, Don’t Cry for Me Argentina and crying ballad You Must Love Me. Viva Madonna! !